As you’ve likely just learned, it takes a ton of time and hundreds of Google searches to plan a family’s first trip to Walt Disney World. 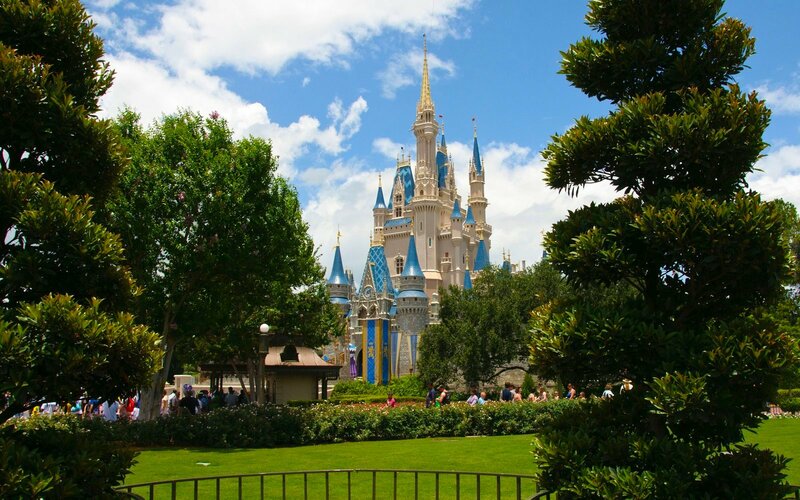 With four parks, two waterparks, a massive downtown district and 31 different lodging options, it’s not unexpected to feel like you need a Disney vacation from simply planning one! Once you’ve got your bearings, made your reservations and spent way too much time researching character breakfasts, you probably think you’re set with a few recommendations, but it helps to know a little more. Friends, family, and Disney World regulars will happily offer up their favorite meals, rides and experiences, but often neglect to mention what you really need to know. Like, say, how to prepare correctly for rain, pinpoint your stroller within a row of hundreds, and take a nap in public without anyone realizing you are. Overestimate how long it’ll take to do, well, everything. You can always find good food—if you know where to look. Not everyone knows or chooses to make restaurant reservations six months in advance — and even when you do, getting unexpectedly stuck on Splash Mountain can blow all chances of making it. Families can totally wing it with quick-service spots, but having a short-list on hand helps in case everyone starts to get angry and Mickey pretzels won’t suffice. At Animal Kingdom, the Harambe Market offers four different food stalls with authentic takes on ribs, corn dogs, and chicken that will please both adventurous and timid eaters. Guest Services at Epcot often provides a board listing World Showcase restaurants with day-of availability, and Magic Kingdom’s long-anticipated Jungle Skipper Canteen restaurant currently accepts same-day reservations. Stuck sans reservation at the table service-filled Disney Springs? Try making a meal out of the appetizers at Jock Lindsey’s Hangar Bar, one of the only outposts that exclusively offers walk-up seating. Take note of what Disney vets never remember to tell you. With so much energy focused on where to eat, sleep, and Fastpass, there are plenty of imperative tidbits that can get lost in the planning. Return sheets for Disney’s Magical Express operate as tickets for the airport bus service and should be waiting under your door the night before departure, but sometimes won’t be. Call the front desk immediately if yours are not there, and they’ll help ensure you have one waiting for you in the morning. There will be massive rows of stroller parking outside of select ride areas, so consider bringing a sign or bold decoration to differentiate yours from the crowd. And, if you plan to use the Disney buses between the parks and are not renting a stroller on-site, be sure to pack one that collapses, otherwise you won’t be able to board. Try to learn the lingo beforehand. If you’ve haven’t been to Walt Disney World before, you may be fully overwhelmed when you arrive. Thankfully, we’ve taken precautions to help you adjust to Disney life in advance. Our Disney Glossary will break down everything from A to Zootopia, and this planning checklist will ensure you feel ready to embark on your trip months before you actually do. Pack these three essentials: Ziplocks, anti-bacterial gel, and terribly comfortable shoes. Build in downtime by scouting for relaxing areas in advance. No matter how much in-park Starbucks you chug, you’re bound to feel sluggish in the afternoon. Thankfully, there are plenty of under-the-radar options for you to rest while the little ones remain entertained. If your whole family is dragging from the heat, consider kicking back in the comfy chairs at one of Disney’s lengthier, low-lit theatre shows like Mickey’s PhilharMagic or Muppet Vision 3D, which have air conditioning on full-blast. In serious need of some secret shut-eye? Ellen’s Energy Adventure clocks in at nearly 40 minutes, giving you more than enough time to recharge. But, if your kids are bouncing off the walls when you’re about to pass out, head over to Epcot’s Colortopia. The hands-on exhibition, complete with a digitized paintbrush mural room that’s host to some of the most technologically advanced features within the park, will keep them beyond elated. Better yet, it’s wholly enclosed, so you can sit nearby and take a 10-minute break without worrying that they’ve run off in search of Minnie Mouse. For those bespectacled guests out there, be warned: three of Hollywood Studios’ most popular rides require the use of goggles which unfortunately fit awkwardly over eyeglasses. If you can wear contacts instead, it’ll make the virtual pie-throwing in Toy Story Midway Mania, character gags in Muppet Vision 3D and flights through Jakku (or wherever you end up!) in Star Tours much more enjoyable.